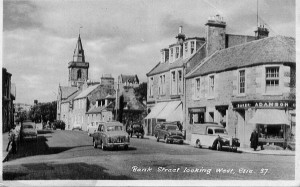 Welcome to the Elie & Earlsferry History Society website. Please enter a topic into the search window above to find out more about our lovely village and its history or scroll down to view coming events and the latest posts. 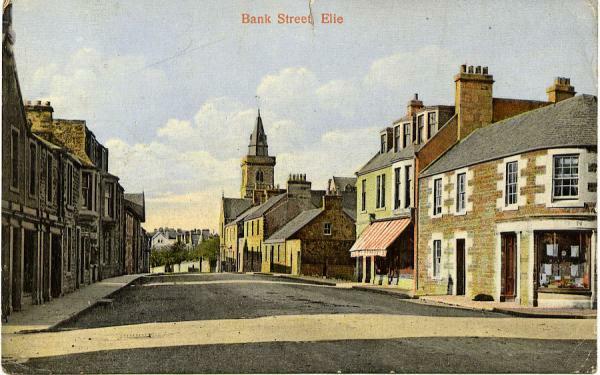 “Elie” meaning place on bank of river where bodies are brought ashore – this is one of the thoughts on where the name derived from. Another is that it is a derivation from the Greek word signifying a marsh; but more likely it means “the island” that is the island of Ardross. The harbour of Elie was originally known as the harbour of Ardross. The Burghs of Elie & Earlsferry were united in 1929, but they were once separate burghs with very different origins. Earlsferry was in Kilconquhar Parish till 1890 and each village had independent Town Councils until Local Authority changes amalgamated them as one in 1929. Earlsferry is the older dating from the 11th Century. The Earls of Fife held land at Earlsferry and at North Berwick across the Firth of Forth. A ferry supported by the Earls plied between the two places mainly for pilgrims heading for St Andrews, hence the village name. In 1541 Earlsferry became a Royal Burgh allowing it to trade overseas. In 1600 however the ferry had ceased and the town never developed with most boats using the better harbour of Elie. Elie grew up around the bay which provides a safe anchorage protected by an island with a causeway. It became a Burgh of Barony in 1589 under the Lairds of Ardross. As such Elie was forbidden to engage directly in foreign trade and was dependent on the Laird of Ardross who controlled the Town Council and Court. In the 1850s the harbour was improved and a road built on top of the causeway. Fishing and trading were carried from the harbour and goods were stored in the granary at the end of the pier. The granary, which lay derelict for many years, was recently restored and converted into flats. ALL CONTRIBUTIONS WELCOME – please be aware that by submitting content to this website you give permission for the Elie & Earlsferry History Society to use the content beyond this site. For example, we may include it in storyboards at our exhibitions, or we may use it for promotional or other purposes. Sources will be acknowleged wherever known.